LOS ANGELES — May 15, 2017 — Don Randi, legendary keyboardist of the Wrecking Crew, and owner of LA based jazz club The Baked Potato will begin book signing and interviews for his entertainment autobiography You’ve Heard These Hands: From the Wall of Sound to the Wrecking Crew and Other Incredible Stories. Randi’s book- described as a “ breezy illustrated hardback,” and “a lively account of some of the adventures and misadventures, the exploits and encounters, the laughs and pranks – and the occasional angry showdown,” by The Beat Magazine, features a collection of never before heard stories highlighting Randi’s involvement with musical legends such as Nancy Sinatra, Elvis Presley, Phil Spector, Jimmy Bowen, Dean Martin, the Jackson 5, Brian Wilson, Linda Ronstadt, Sammy Davis Jr., Glen Campbell and many more.  Randi is set to begin his book tour at the beginning of May and will be signing books, playing surprise events, and discussing what it was like to be an extremely influential keyboard musician, composer, arranger, music director, and record producer during the explosive music era of the 60’s and 70’s. For years, only music industry insiders, close friends, and jazz fans who visit Randi’s nightclub, have had the opportunity to meet the jazz legend. Now music lovers everywhere are invited to meet and hear from the man whose hands have played some of the most listened to tunes of the century as he visits Jazz Clubs, Book Clubs, Colleges, Bookstores, and more to discuss the story behind You’ve Heard These Hands. For more information visit youveheardthesehands.com.